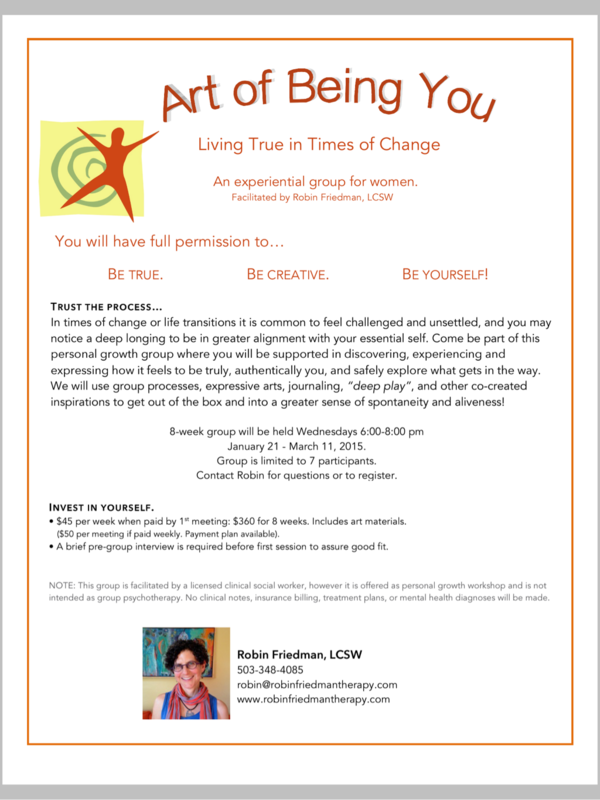 ART OF BEING YOU group is not being offered at this time. An experiential group for women. Groups can be an incredible way to connect with others and feel supported while doing your own personal work. As a microcosm of our life, this group is a safe place to creatively express and play, to be inspired by others, and have a safe place to discover the gifts of being you! In this supportive circle, you will find that you are not alone in your struggles, will gain supportive witnesses to your growth, receive compassionate feedback and will be celebrated in your achievements big and small. A place where you get to be YOU!